While total population growth in the Republic of Korea stagnates or declines, the population is shifting to mega city-regions from small and medium-sized cities in provinces or rural regions. That is, the percentage of the population living in megacities continues to rise across the territorial space, and population growth is most pronounced in the peripheries of megacities. However, spatial planning is insufficient for land management at the megacity level. Population growth and increased population movements in megacities have changed the land-use patterns, such as urban sprawl, and strengthened the functional linkage between urban centers of megacities, their peripheries, and fringes. Despite growing importance of integrated management at the megacity level, there is a lack of institutional instruments. Currently, metropolitan area plans are in place with a focus on megacities but fail to function as a management tool for megacities. This policy brief is adapted from an article entitled “Policy Directions of a Planning System for Mega City-Regions,” published in the Space and Environment magazine of the Korea Research Institute for Human Settlements (KRIHS). 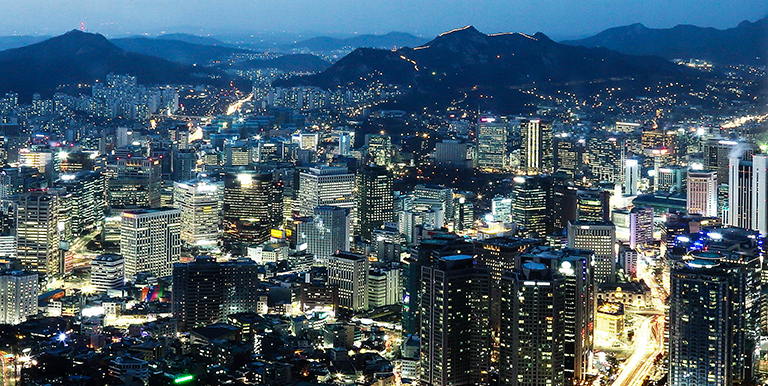 The current metropolitan area planning system in the Republic of Korea was introduced with a complete overhaul of the Urban Planning Act in 2001. As of 2016, 13 megacities were designated, for which metropolitan area plans have been established. However, there have been discussions about the need to improve the function and role of the metropolitan area plans as the highest level of urban planning. First, the policy and strategic roles of the metropolitan area plan should be clearly defined. In this regard, it is imperative—among other things—to establish the function of the metropolitan area plan that focuses on major policy issues and enhance its roles. Second, many pointed out the need to enhance alignment with a lower-level plan (Basic Urban Plan), which serves as a guideline, in the context of spatial strategies. Third, it is critical to specify and promote the areas that fall under the metropolitan planning system. To this end, megacities or metropolitan areas, which function as a single area for economic activities and everyday living, should be identified, and the introduction of institutional supports and incentives should be considered as a way to promote the establishment of a metropolitan area planning system. With the introduction of the Special Act on the Overall Traffic Management of Metropolitan Areas in 1997, a transportation plan was devised to address traffic congestion in megacities at the metropolitan level. The 20-year basic plan for metropolitan transportation intends to improve and enhance transportation networks and systems, manage demand, and improve facilities in megacities in the long term. The 5-year implementation plan for metropolitan transportation facilities prioritizes project execution and implementation planning in the order of urgency. Although the metropolitan transportation plan is designed to serve as a comprehensive solution to the metropolitanization of megacities, the plan has many limitations in terms of the implementation system. Generally, the central government has the power to establish metropolitan transportation plans, after sounding out local self-government bodies. However, this may open up conflicts of interest between different stakeholders and raise questions over the enforceability of the plans. A comprehensive solution to transportation problems requires systematic planning and project implementation at the megacity level, encompassing and integrating roads, railways, transportation facilities, and public transportation. Additionally, there have been several plans or systems to promote the development of megacities through close links between municipalities. However, these attempts were too focused on specific objectives. Although these efforts are supposed to cover metropolitan areas, they have revealed limitations in terms of policy implementation and budget execution at the territorial unit level and lack legal grounds and implementation systems (e.g., an interest alignment mechanism) to promote mutual development between different regions. First, it is imperative to introduce new development and management systems that fit the status and characteristics of respective megacities. From a long-term perspective, it is important to introduce practical management methods that engage all stakeholders—the central government, local self-government bodies, and residents—to identify development goals and management methods through a consensus-building process in order to achieve the sustainable development of megacities. Second, it is essential to form cooperative governance by actively engaging all stakeholders. Given that megacities are transforming into a functional region for economic activities and everyday living, cooperative participation by all stakeholders should be prioritized throughout a decision-making process from the establishment of development goals for megacities to implementation strategies and execution. The newly introduced megacity planning system should be instrumental in aligning city-level urban plans from a metropolitan perspective because cooperative planning for megacities has the characteristics of both metropolitan planning that exceeds the scope of individual territorial units and planning for long-term regional development. Long-term plans may include future strategic goals and the priority and principles of future development needs. Moreover, it is necessary to clarify the megacity planning system as a policy plan that systematizes various policy directions to realize future visions. As such, a system should be established to monitor the implementation of plans on an ongoing basis. The cooperative planning system for megacities should be introduced as an institutional framework to ensure sustainability. The enactment of new laws and amendments to existing laws should be considered. To ensure legal enforceability, the cooperative planning system should be stated in law with regard to the composition of megacities, the power of a consultative body for megacities, and the development and approval of plans. If the megacity planning system is to be incorporated into an institutional framework, the following two options are available. Source: T. Kim, et al. 2016. A Study on Policy Directions of Planning Systems for Mega City-Regions. The establishment of a cooperative governance system for megacities requires a framework for building consensus on the extent to which local self-government bodies in megacities have accountability and autonomy in planning, project designing, and execution. Key areas of cooperation for the governance system include the development of medium and long-term visions for megacities and cooperative establishment of shared goals and strategies, identification of cooperative projects, consensus-driven prioritization of key tasks to achieve collective development, introduction of an efficient implementation system for priority projects, and gradual implementation. The leadership of local self-government bodies needs to be enhanced in a way that lays the foundation for the cooperative governance system. In addition, key tasks include bridging a capability gap between local self-government bodies in a mutually complementary way. Moreover, the implementation of the cooperative plan should be managed to ensure its enforceability. Performance indicators should be established as strategic milestones, and performance monitoring and management systems need to be instituted to check the progress. Korea Research Institute for Human Settlements (KRIHS). 2017. Urban Regeneration and Gentrification. Space and Environment. Vol. 71, pp. 1–3. September. His research areas cover regional planning, planning systems, and management of mega city-regions; healthy cities development, regulations, markets and institutions; macro-monetary economics; and pensions and public funds. He obtained his Ph. D. in Geography from University of Newcastle upon Tyne, United Kingdom. He is a member of the National City Planning Committee and the Seoul Metropolitan Area Readjustment Working Committee. He is currently director of the Planning and Management division at KRIHS. Established in 1978, KRIHS is committed to enhancing the quality of life and well-being of the Korean people through spatial planning studies and policy suggestions. It has carried out studies on the efficient use, development, and conservation of territorial resources. Its research areas range from sustainable and balanced territorial development and conservation of the territory to the provision of housing and infrastructure.